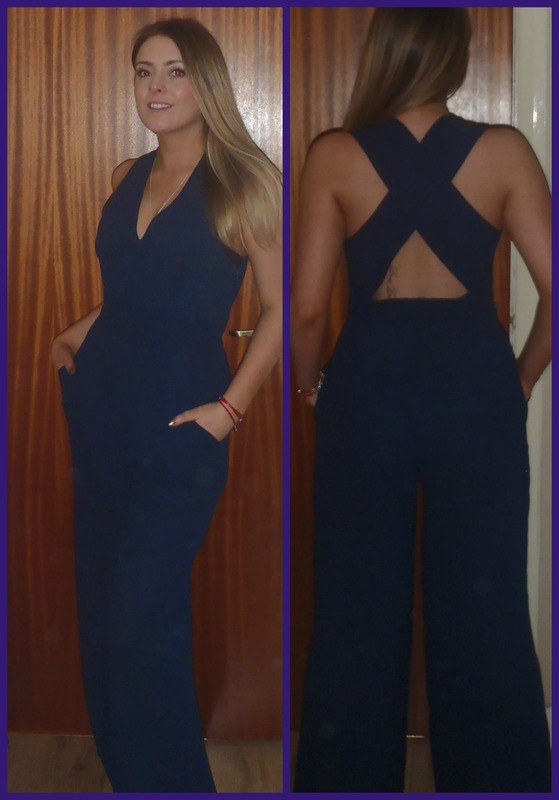 My navy In Love with Fashion jumpsuit is one of my favourite items of clothing. I have limited its outing to nights out but decided it needed some more showing off so built it into my day wear. 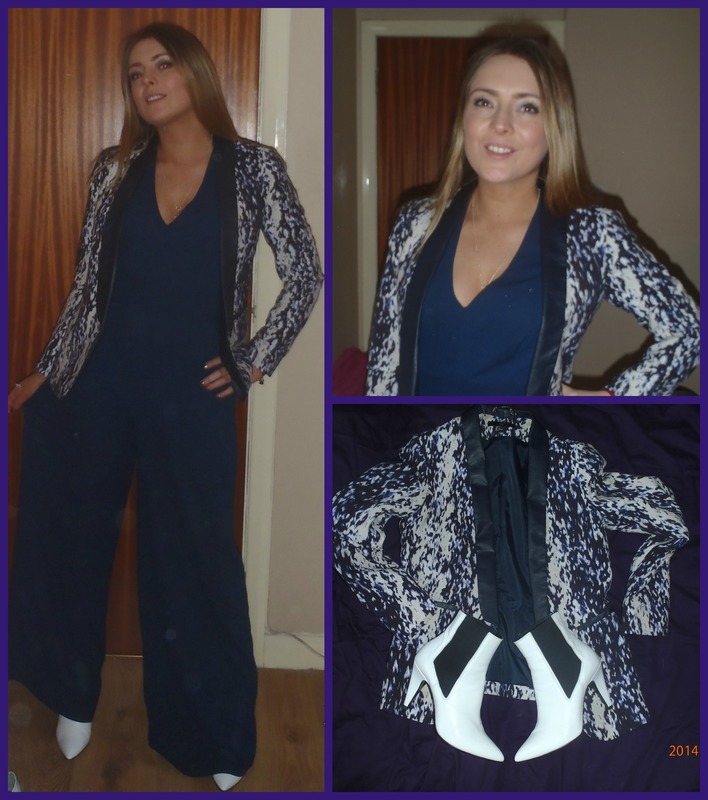 Feeling brave I teamed it with a pair of WHITE boots and a patterned blazer. 70s eat your heart out.